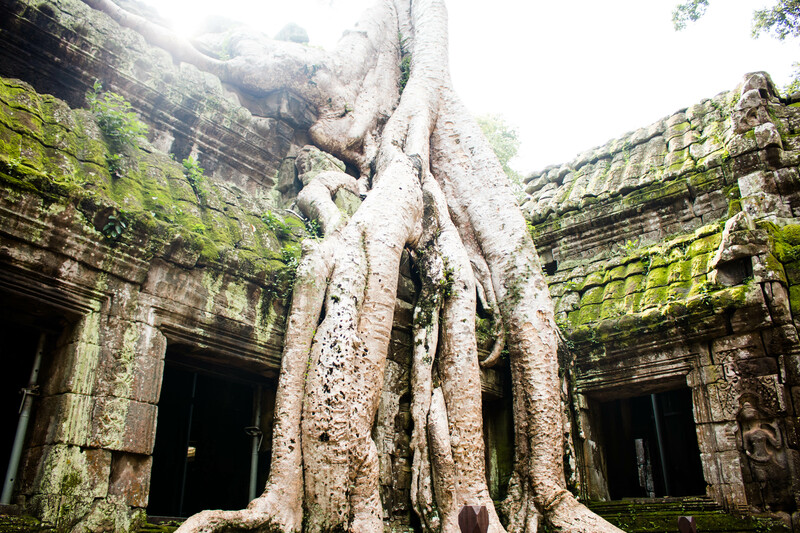 Temple Run and Tomb Raider are some of the few things that come to my mind when I think of Siem Reap. I imagine it will be thrilling running around the temple ruins and to see where Tomb Raider was actually shot in the movie (then I imagine myself as Lara Croft hahaha!). Although I admit that at first, I don’t find Cambodia interesting. I have always been a beach girl so visiting temples was not my idea of fun. I thought it will be boring. But that was until I saw my friends’ amazing photos and stories on Facebook, plus TripAdvisor and other similar travel websites keep featuring Angkor Wat as one of the top destinations in the world – I became curious! And so when one of my friends invited me to go, I said yes. We booked the Jetstar flight from Singapore to Phnom Penh and back. Ideally, it is best to fly directly to Siem Reap but it was expensive on our chosen dates so we had to take the 6-hour bus ride from Phnom Penh to Siem Reap. I did most of the research and planning for this trip and I have to say that Cambodia is by far the cheapest accommodation I ever had paid for. We are 3 and we only paid about 77 SGD each for 4 nights in a 3-star hotel (with breakfast). Food and transport are also cheap. As for visiting the temples and monuments in all of Siem Reap, we took the 3-Day Angkor Pass (40 USD) – just enough for a 5D4N trip. 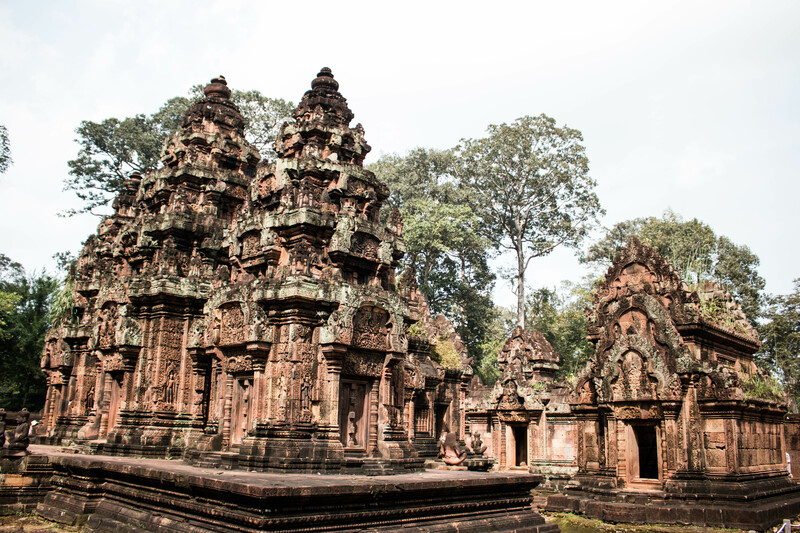 There are so many temples in Siem Reap to explore and they can be easily reached by tuktuk. The major temples are Angkor Wat and Bayon. Both can really get crowded but it’s still worth seeing. We asked our tuk-tuk driver to take us to the Angkor Wat early at dawn so that we can watch the sunrise. Note that this is a popular place to watch the sunrise so come before 5AM if you want to get a good spot. On our last night in Siem Reap we watched the Apsara Dance show at Koulen II Restaurant. We only paid 12 USD per pax for the show and dinner buffet. Our friendly tuk-tuk driver made the reservations for us. After Siem Reap, we took the bus back to Phnom Penh and The next day, we visited Choeung Ek – The Killing Fields. It was a moving experience. Over all, I had a good time in Cambodia. I will be happy to add more trips to other ancient archaeological sites in the world to my bucketlist.